C.K. Prahalad, Chairman of the PhD committee at the Indian Institute of Management, Ahmedabad, once offered some advice that puzzled young scholar Ranjan Das. "Work for a small company for five years before you come back to academics," Prahalad told him in 1977. Das, though mystified at first, did just that, and more. He worked for 20 years in small companies, including a fiveyear stint as Managing Director of Maharashtra Weldaids. He went back to academics at age 44. Das, now 63, is a professor of Strategic Management at IIM Calcutta and a leading consultant. He says the early years as a professional manager have helped him enormously in his later role, giving him numerous functional insights into his area of expertise. There are various roads to consultancy for management teachers. Das followed his own when he joined IIM Calcutta in 1997 as a full-time faculty member. He designed new courses in strategic management. "I also wrote two books in the first three years as a teacher and more later," he says. "I started creating short, management development programmes for industry." With all this, his consulting career took off. Y.L.R. Moorthi, Professor of Marketing at IIM Bangalore, took a different path. "I was asked by a company making two-wheeler tubes if it should venture into manufacturing tyres as well," he says. "I gave some suggestions, and was asked to make a presentation to the board." He did; the impact of an IIM professor making a case for diversification was much more than that of the company executives saying the same. Moorthi's reputation spread and his consulting career started. 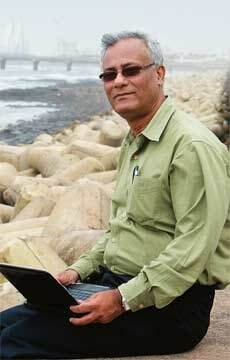 Moorthi's colleague D. Krishna Sundar, Associate Professor, Production and Operat i o n s Management, says he never solicits work from companies. Yet, this expert on supply chain management and e-commerce even has firms overseas lined up for his advice. Sundar advises the South African Post Office, or SAPO, the country's postal service, and its banking division, Post Bank, on how to take banking to the masses. Sundar's research work on financial inclusion attracted SAPO. "Most banks in South Africa are geared to serve only the rich in the cities, a legacy of its years of apartheid , " says Sundar. "Banking is prohibitively costly. Even to issue a cheque for 100 rand (Rs 650), there is a 15 rand charge." When professors take up consulting, the institutes they teach at also gain. "The institute keeps 40 per cent of the profits professors make from consulting," says Sougata Ray, Professor and Dean (Programme Initiatives), Strategic Management at IIM Calcutta. "We encourage our professors to become consultants. They are allowed to use 52 days a year for their consulting activities." Rama Bijapurkar, management consultant and author, who also teaches at IIM Ahmedabad, says many among the whole-time faculty are getting into consulting, and a number of them have built reputations. Around 20 to 22 professors in strategic management at the top three IIMs and Indian School of Business, Hyderabad, are much sought after consultants, says IIM Calcutta's Das. But others with different specialisations are greatly in demand, too. 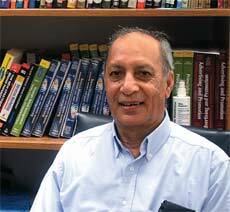 Professor Sharad Sarin, who teaches marketing at XLRI Jamshedpur, has been a veteran consultant since the 1970s. His list of clients reads like a who's who of the Indian industry. Sarin developed the concept of marketing fairs and advised companies on how to use them to conduct research. Sarin shared with BT some findings from a research he is doing for a media company: "It is our assessment that Hindi newspapers, which cost as little as Rs 2 in Jharkhand and may be Rs 3 to Rs 4 in Bihar, provide more information, more local news than what we get from English newspapers. Their circulation is increasing faster than that of English newspapers." Are there any pitfalls professors who get into consultancy should watch out for? "The scope of a consulting project often keeps increasing," says IIM Bangalore's Moorthi. "It is very important to define the scope in the very beginning. Otherwise, a consulting project can go on and on and eat into the time that should be devoted to academics." Conviction is also important. "You must firmly believe in what you are telling the companies, otherwise you will not have any credibility," says Das. "You should go out of your way to help clients, because usually they approach you when in a crisis. You must be accessible to them all the time." Consulting experience helps academics become better researchers and teachers, too. "Research needs rigour and teaching needs relevance," says J. Ramachandran, Professor of Corporate Strategy and Policy at IIM Bangalore and a popular consultant. "Industry experience and consulting experience helps you bridge this gap between rigour and relevance." But academics should always take priority, says Padmini Srinivasan, Ramachandran's colleague and an Assistant Professor of Finance who advises companies on cost management, valuations, and implementing International Financial Reporting Standards. Indeed there are many management professors who stick to teaching and research alone, eschewing consultancies. "Consulting is like an amoeba, it can move in many ways," says Moorthi.